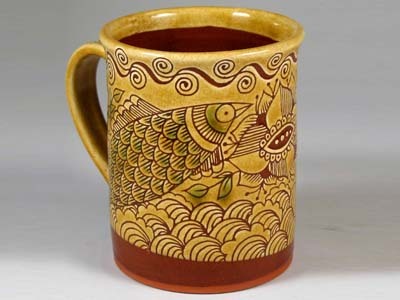 Ron Geering has been working as a traditional craftsman for more than 30 years. 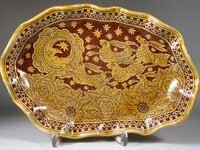 He uses traditional earthenware clays and glazes to make 17th- and 18th-Century-style slipware pottery. 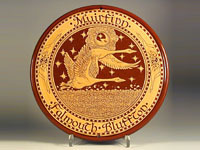 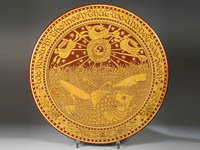 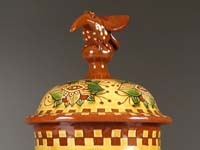 Geering builds each piece by hand or throws it on the potter’s wheel, then embellishes it with the folk techniques of sgraffito, slip-trailing, combing, or applying hand-stamped clay sprigs. 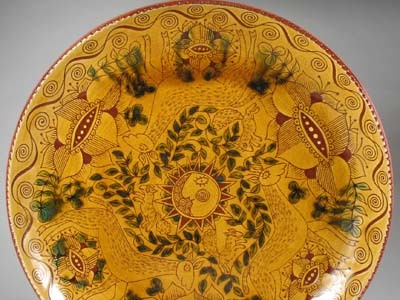 He fires the pottery in a kiln, glazes it, and fires it a second time to more than 2,000 degrees F. This process guarantees slight variations in size, form, color, and decoration, making each piece unique. 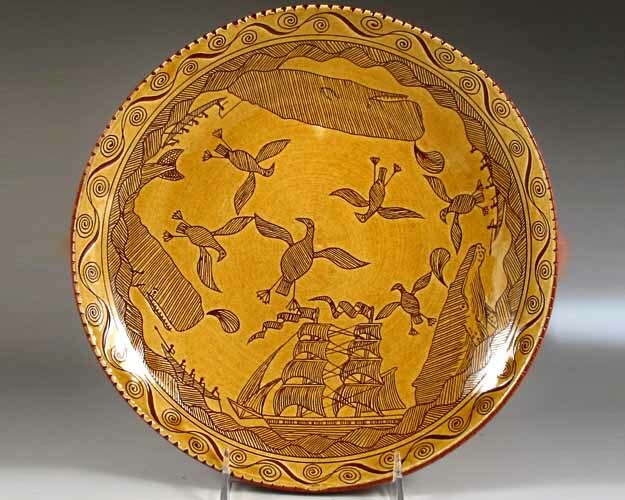 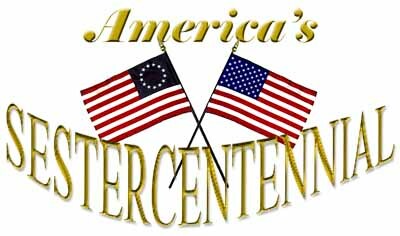 He has worked for many heritage organizations including The Henry Ford and Greenfield Village, Plimoth Plantation, The Freedom Trail Foundation, and the New Bedford Whaling Museum. 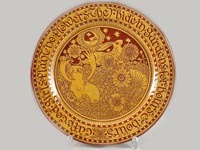 His work has been represented in many national exhibits and in the collection of the White House. 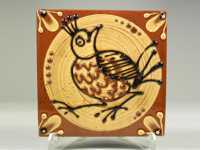 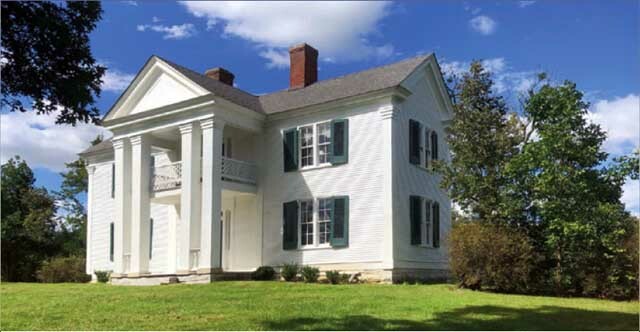 He has researched extensively in museums, workshops, and private collections throughout the United States, Europe, Scandinavia, and Great Britain. 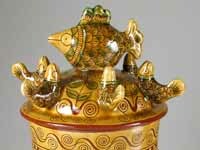 Since 1993 Geering has maintained a studio on Cape Cod producing wares strongly influenced by historical examples, interpreting traditional craftwork in a personal, contemporary way. 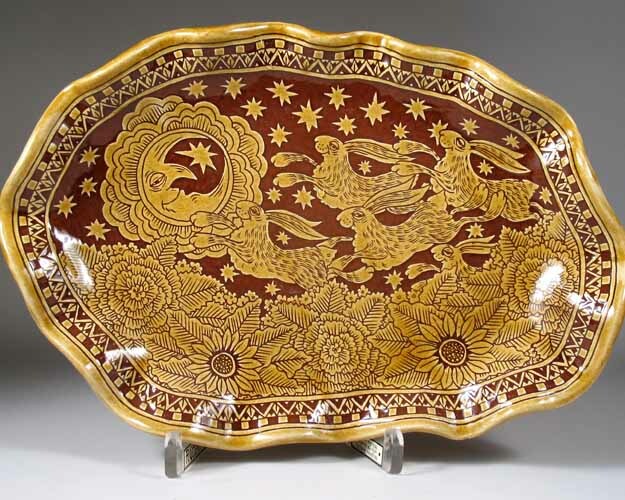 The pieces are still easy recognizable as belonging to the slipware tradition but are enhanced by the unique experience and sensibilities of the artisan.